Constructed of 3/4” MDO exterior plywood and 2” x 4” framing, the deck of this cart is 4’ x 8’. 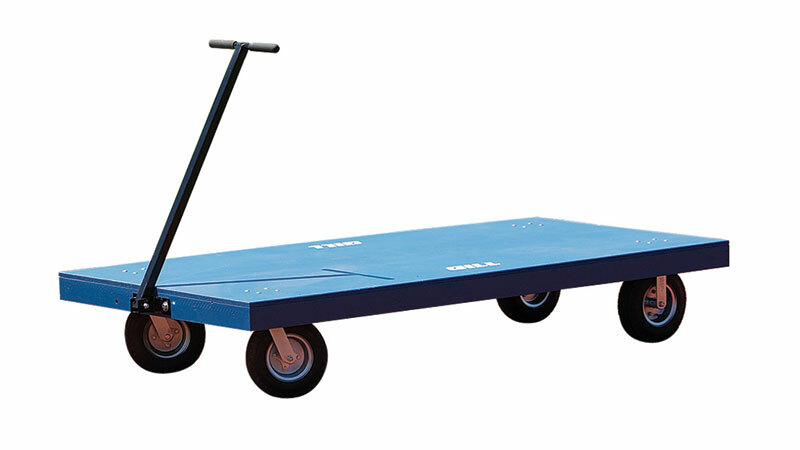 Pneumatic caster wheels are 12” in diameter for easy maneuverability over smooth and rough surfaces. Deck height is 16”.